No matter what Nissan model you have, one thing is for sure: It’s a good-looking vehicle. And because you take pride in your Nissan’s head-turning good looks, you want to keep it looking as bright, shiny, and vibrant as it did the day you drove it off the dealership lot. 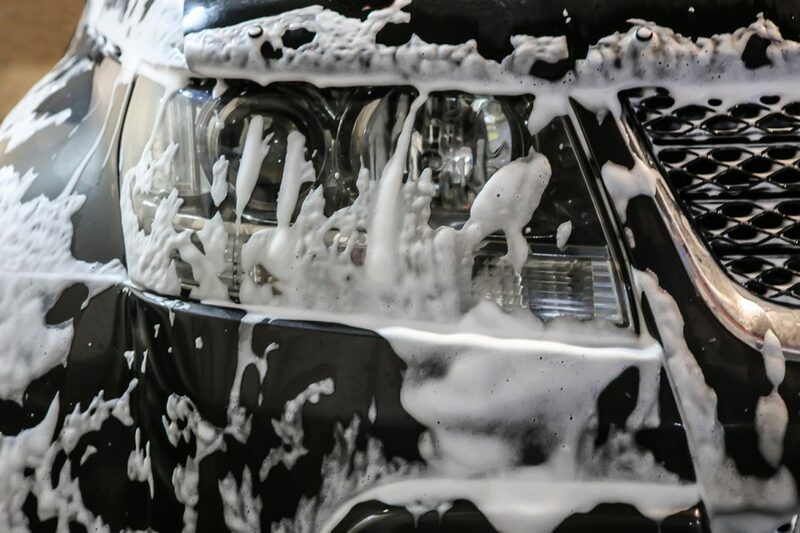 Believe it or not, there are ways to maintain that new-car aesthetic without shelling out for professional washes and wax jobs on the regular. Read on for a few of the ways you can keep your Nissan looking like it just rolled off the line. Reduce your car’s exposure to the elements. If your vehicle is often left out in the rain and the sun, you might need to wash and wax it more often than you would if you usually park in a covered garage. Also important to note is that dirt and grime that’s left too long on the surface of your car can bond with the paint and damage it. Wash regularly. Avoid automatic car washes. They may use stiff brushes or strong chemicals that can be harsh on your car’s paint and strip off wax and protective sealants. Avoid cheap sponges, which can harbor dirt particles and debris that can scratch your car’s surface. Microfiber is the way to go. Use a good-quality cleanser that is specially formulated for cars. Common multi-purpose cleansers and detergents can contain harsh chemicals and salt that can harm your car’s paint job. Dry thoroughly after washing, using soft, dry microfiber towels. You might also use an electric dryer to dry hard-to-reach areas where water may pool and promote rust. Take your newly washed car for a short drive to get rid of any remaining water. Bowden recommends applying a coat of good-quality carnauba wax to give your car a glowing shine. Apply the wax one panel at a time using an applicator pad and moving in a circular pattern. Once a light haze has formed on your car’s body, use a clean, dry microfiber cloth to wipe it away, again using circular motions. When the haze is gone and the paint appears clean and shiny, you’re done! Does all this talk of bright and shiny cars have you dreaming of a new Nissan of your own? Sounds like it’s time to head over to Lee Nissan Fort Walton Beach. We have an amazing inventory stocked with all the new Nissan models you love. They’re all priced to sell and ready for your test drive. Stop by today!